I have changed in learning how I use twitter. Or so far I believe, that I now work “with” the platform instead of occasionally posting and expecting results. Hands down, Twitter is still a most formidable echo chamber of automated tweets, direct messages, and people hustling to sell their goods and services where, unless you go viral, your post is ignored by most of your readership. And, in my opinion, my previous assessment still holds, most people are only in the game to accumulate a record number of followers without caring about the content they source and therefore the meaning of your “home” as tweetdeck calls it newsflow quickly degrades. But before I get ahead of myself. The first week after the change was an emotional rush of quick increases (hey, I started off an extremely low base). I felt extremely excited. Within only a few days I had quintupled my follower-ship. I am not an expert in Marketing so that excited me by quite some margin. The traditional marketing never had a large appeal to my. It destroyed my movie experience growing up and I am glad that, at least in my humble opinion, traditional marketing is dead. Hell, I don’t even remember when I saw a traditional television ad! Of course, I don’t watch television outside of the once every odd years events for world-cups or the Olympics. But even then, I hardly ever see or even remember a commercial. But I do know my fare share of Statistics, and that clearly told me while my initial success was encouraging I had to keep up the trend to make it a relevant sample. So without further ado, where are we almost a month later? Nothing that I had done was particularly complex. But I have to admit, in early April, I signed up for a new toy : Buffer. 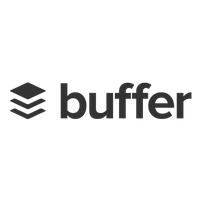 Buffer is a tool that helps you organize your posts throughout the day. In the olden times, I posted and re-tweeted a couple of posts in the morning when I drank my morning coffee, and in the evening enjoying a nice glass of red wine. On Twitter, no-one cares when you post. Everyone cares when-they-read. This is a small but important distinction! But now in the new digitally enhanced version of me, I appear to be posting throughout the day whenever it appeals the most to the interest and schedule of the now almost 2000 souls following me. Plus, I am pushing now automatically context-edited posts to LinkedIn and Google Plus therefore successfully employing a multi-channel strategy at a price less than cable television. And that is actually quite cool!